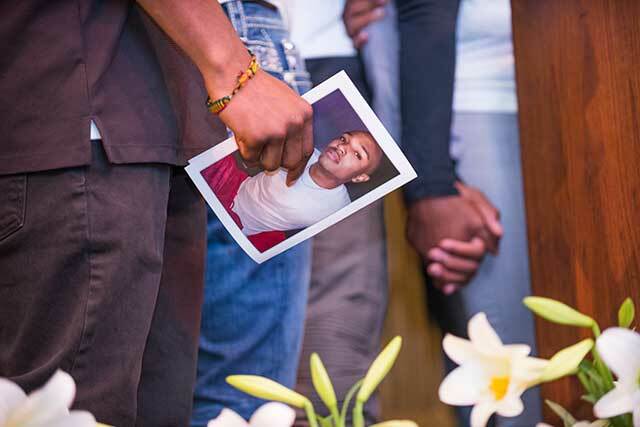 The Humboldt State community gathered last Thursday to celebrate the life of 19-year-old student David Josiah Lawson, who was killed on Saturday, April 15. The Kate Buchanan Room was overflowing, with many people standing and others listening on speakers just outside. A Celebration of Life for David Josiah Lawson. Family members, members of Brothers United, and others who knew Josiah spoke about him as a caring and charismatic person. “I’m sad and I’m heartbroken but I know that the last two years that he was here, he was loved. And I see it from everyone that’s here,” said his mother, Michelle-Charmaine Lawson. Photos from the Celebration of Life are here. More information and updates are here.